Leak Detection System – DuMor Water Specialists, Inc.
Can Your Home Sense a Leak in Seconds? Leak and flood damage is one of the most common homeowner isurance claims. In fact, $8,000 is the average claim, often with high deductibles. Chances are, you or someone you know has suffered from a water leak causing…. Stop a problem before it starts, save money and time, and preserve your peace of mind with Kinetico. Rely on trained water experts to protect your home from the unthinkable. 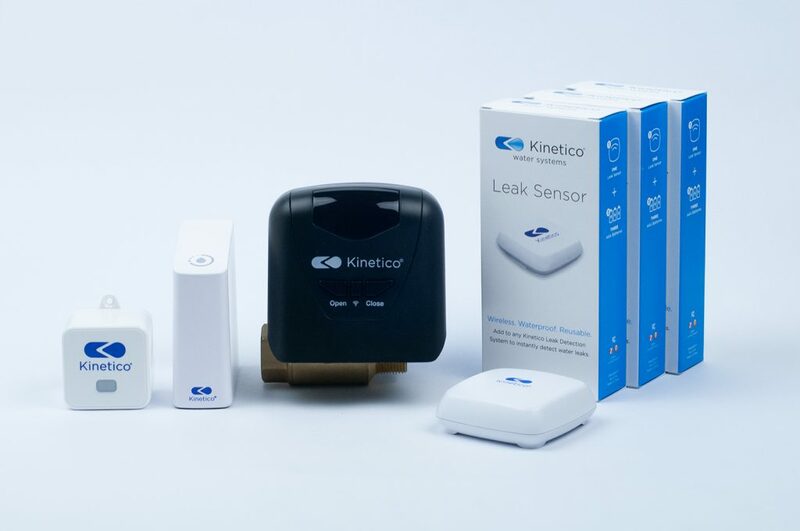 A Leak Detection System from Kinetico simply make sense. Kinetico has spent half a century focused on innovating the water treatment industry. And now we’ve teamed up with a leading leak detection developer to offer an award-winning, comprehensive and streamlined option for leak detection and damage prevention. "This is our second Kinetico water softener. The other one we had lasted thirty years at our old home. We are well pleased with our softener." "Besides having the Kinetico water system installed the K5 drinking water station was our best decision ever! Living in a rural area without city water has been difficult but now having the reverse osmosis water system has made our lives so much easier. In addition I have started giving our dog and two outdoor cats water from the drinking water station daily. Every morning their bowls need to be refilled, I cannot believe how much more water they are drinking. While all the adults in our household have always been avid water consumers, we are also now drinking more water on a daily basis. Our overall personal experience with DuMor Water Specialists has been outstanding. From initial consultation to installation to follow up, we could not be happier with our decision to be come part of the DuMor family!" "We've had Kinetico at three different homes in 16 years. Truly the best quality water softening/purification products available." "Loved low water and salt usage. Not using electricity is also a benefit." "I've had the system since 2007 and not had a problem at all. I like the smell and taste of my water." © 2019 DuMor Water Specialists, Inc.